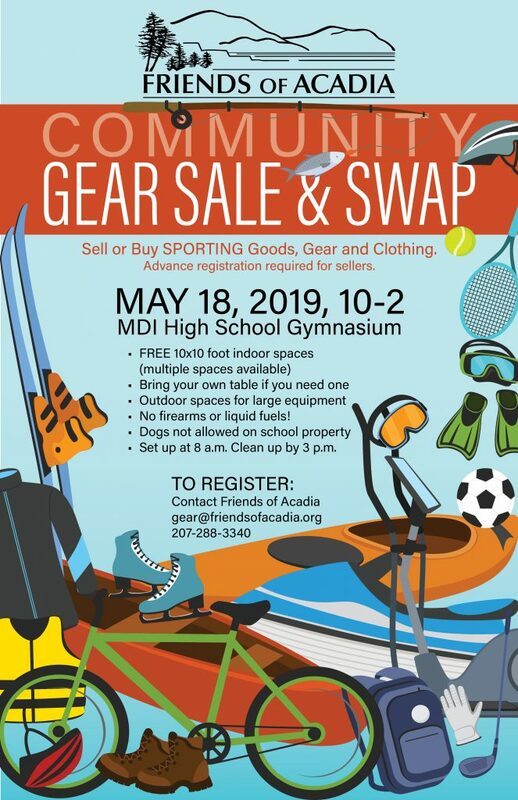 Mark your calendar and register for the first-ever Friends of Acadia Community Gear Sale and Swap. The sale will occur on Saturday, May 18, at Mount Desert Island High School in Bar Harbor from 10 a.m. until 2 p.m. The event is designed for those who want to thin out their stash of outdoor equipment and sporting goods as well as those looking for bargains or upgrades their own gear. No firearms or liquid fuels! For more information please email gear@friendsofacadia.org or call 207-288-3340 and ask for Earl. Will any of your equipment be displayed outside in parking lot?